Falmouth offers a wonderful range of accommodations for visitors. 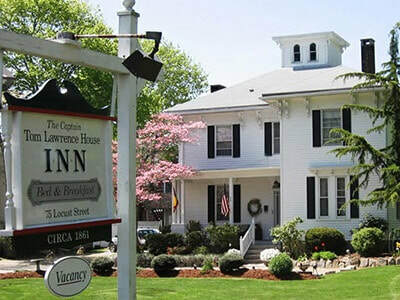 Relax with friends in a historic inn after a lobster dinner or smell the ocean's breeze gently pass your window as you snuggle down amidst the modern amenities of a vintage sea captain's home. From luxury resorts to romantic bed and breakfasts, accommodations are available just steps away from historic Falmouth downtown, dotted along the ocean, or hidden amidst serene rural settings. No matter what your budget or preference, there is a home-away-from-home waiting for you in Falmouth, Cape Cod.